The Blue Grass Community Foundation’s Giving Cards are the gifts that keep on giving. Discover how you can support local non-profits this holiday season. The holidays are a magical, joyous time. They can also be a source of stress, especially for parents who feel pressure to create meaningful memories for their children. 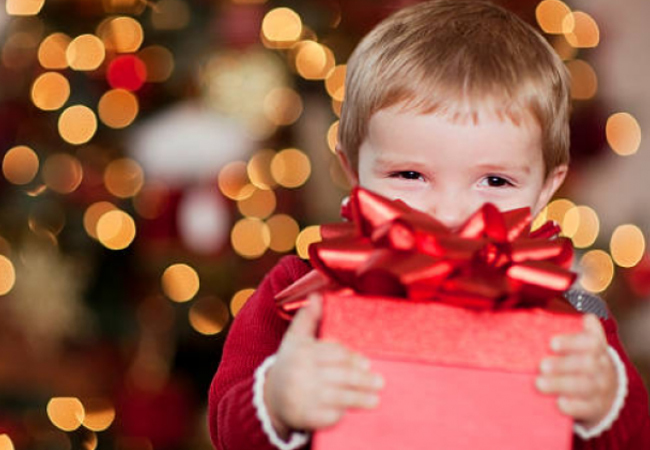 One way to maximize the magic: help kids experience the joy of giving with these easy, heartfelt ways to give back. In addition to toys and games, consider giving your kids a Giving Card or two. These fun, colorful cards are much like retail gift cards, with one exception: the person receiving the Giving Card gets to pass it on to any charity in the United States, including schools and places of worship. Giving Cards are a wonderful way to introduce kids to the idea of giving back. They’re also a great way to begin the conversation about the causes that speak to your child. Giving Cards are available in various denominations and dozens of styles at Blue Grass Community Foundation’s website at bgcfgivingcards.org. Make it a holiday tradition to research a charity you’d like to volunteer for in the coming year, then keep your commitment. Shelters often have plenty of volunteers to serve meals on Thanksgiving and Christmas, but could really use help when the holidays are over. Check with the charity’s volunteer coordinator first to make sure your child is old enough. • Lexington Humane Society needs help with dog grooming and tending to animals during adoption events. For more information, call Ashley Hammond at 859.233.0044, ext. 231. • Hope Center, Lexington provides emergency shelter and other services for the homeless. They need meal servers at the shelter and sandwich-makers for the HopeMobile. Kids must be 12 or older. For more information, call Carey Cairo at 859.225.4673. • Girls on the Run Central Kentucky needs volunteers for its spring 5K in April at the Kentucky Horse Park. Help is needed at water tables and cheer stations, to face paint and to host a craft table. For more information, contact Heidi Guckenberger at 513.549.2560. To find more volunteer opportunities that align perfectly with your family’s interests, or to research local charities to give those Giving Cards to, go online with the kids and check out GoodGiving.net, a free resource brought to you by Blue Grass Community Foundation. You’ll find attractive, user-friendly profiles of over 400 Central Kentucky nonprofits that you can search by mission, location or name.